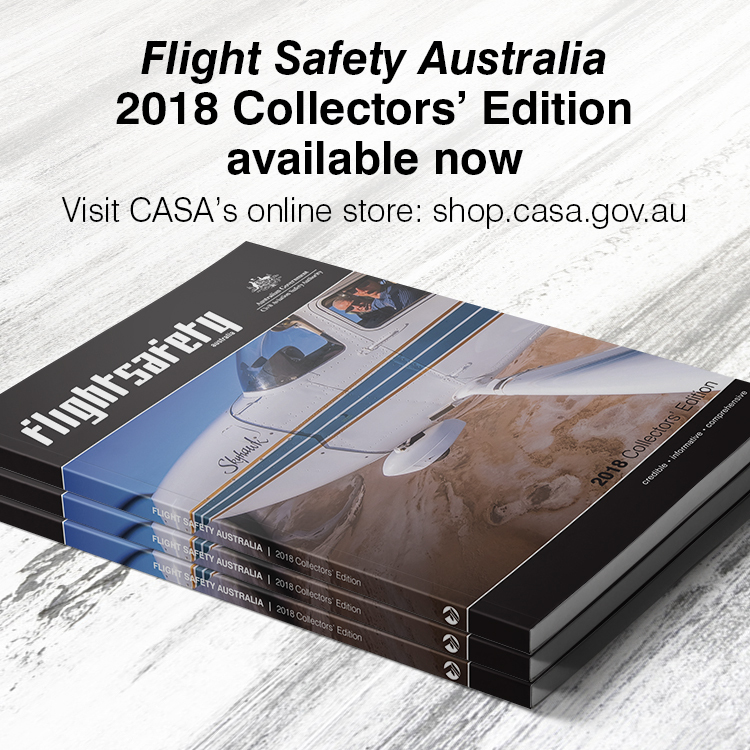 Flight Safety Australia’s February edition is now available for download on Apple and Android devices. At your leisure you can read the main feature stories, accident round-ups, close calls and you can try your hand at the quizzes. 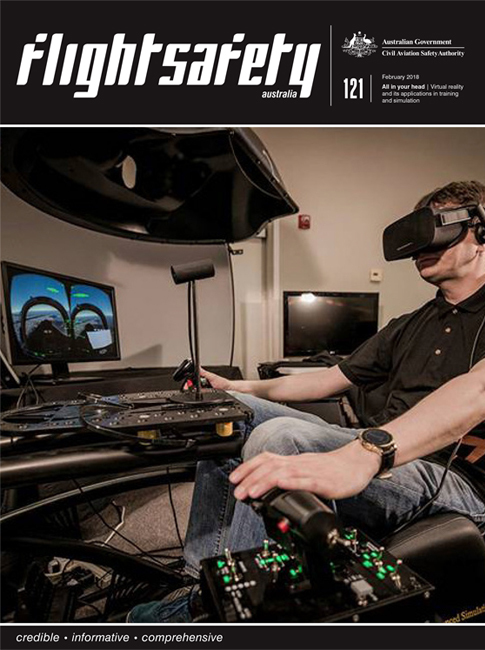 Our lead feature looks at the potential of virtual reality to transform aviation training. The immersive experience this technology delivers can offer a new type of training for pilots, cabin crew and ground personnel. A tragic helicopter crash in the US Grand Canyon has relevant lessons for Australian operators flying in high ambient temperatures. Our US contributor Thomas P. Turner takes a close look at the skills and habits needed to master the aircraft at the top of the private aviation ‘food chain’—single-engine turboprops. These single pilot aircraft offer impressive performance and comprehensive automation but require discipline and thorough system knowledge of their pilots. We revisit a perennial and important topic for refresh—the imperatives and limitations of visual scanning. See and avoid is simple to say but harder to do consistently well. It requires practice, understanding and effective communication with other aircraft in the vicinity. We also look back at an extraordinarily close call that happened at Sydney Airport 47 years ago when two passenger jets collided on the runway as one was taking off. Nobody was hurt but the collision had the potential to be one of the world’s worst air disasters. With the help of a surviving crew member, we analyse the communication breakdowns behind the near-disaster. We also include two general aviation close call features, supplied by our readers, one with a riveting audio recording. Flight Safety Australia feature stories and articles are also available on www.flightsafetyaustralia.com, along with aviation safety news stories, accident round ups and quizzes. So why can’t I download the article?? Can you please let use know which article you’re try to download? …and I can’t read this eZine on my Win10-powered MS Surface Pro. Dang. Maybe one day. Can you please send us a message to fsa@casa.gov.au to let us know a bit more information about your particular issue including the device your using. Not working for me either, email sent.